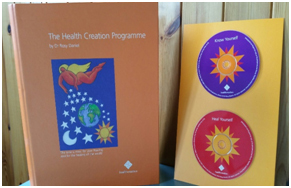 Health Creation has been designed by Dr Rosy Daniel - Medical Director of Health Creation and Integrative Medicine Consultant. 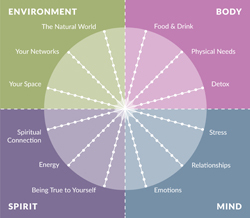 The Health Creation Coaching and Mentoring programme is about guiding and supporting people to change unhealthy lifestyles to a balanced, healthy and happy way of living. The program is also for those having health challenges such as cancer, serious illness or life’s stresses to support them getting back on track. 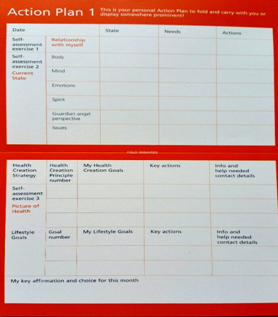 There is an interactive workbook which comes with 6 monthly assessment packs, 6 monthly action plans, 2 CD’s Know yourself & Heal Yourself by Dr Rosy Daniel. There is homework between sessions but that can be a life changing process and well worth any effort. There is also the option of an online programme. Note: If Rowena’s workload is too great she will refer you to one of Dr Rosy Daniel’s best Mentors. "The Health Creation Program came at a time when I was very ill physically. It was only when I progressed through the course that I realised there was more than just the physical that needed attention. 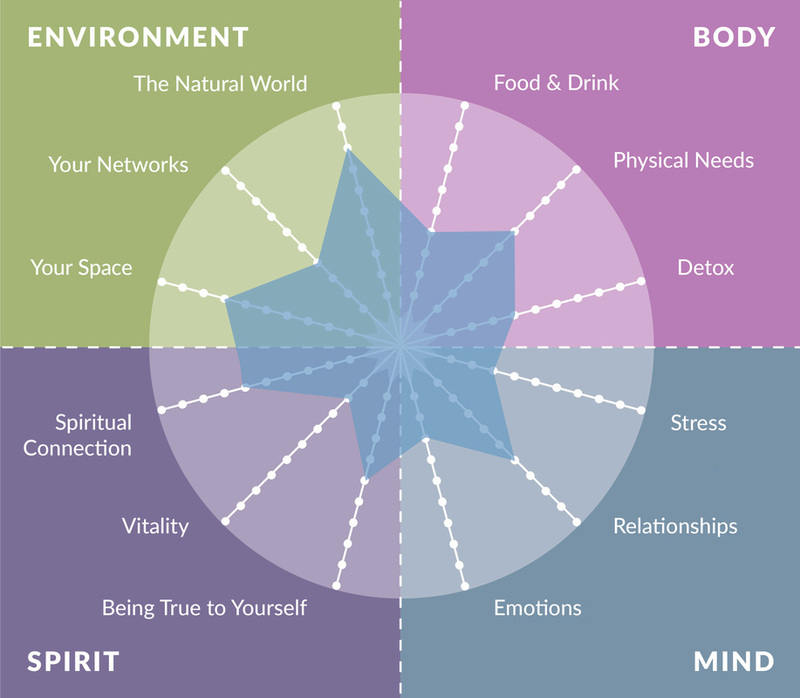 It made me aware of other areas in my life that I had been neglecting and that by focussing on these and making improvements, the physical and my life as a whole would change for the better. Since doing the course, problems which I had had seemed to effortlessly sort themselves out. A move to a new ideal home came to fruition (which I had wanted for years and had seemed impossible). My health got better, I am less reliant on medication. My relationship with my partner has resolved itself. I am better off financially than I have been for years. I have found the perfect job in Proofreading. I have also found time to do my hobbies which fulfil me. My relationship with my mother has never been better.